The Triple Frontier is the name given to the point where three South American countries converge. Also is where this long-awaited Netflix movie is set. 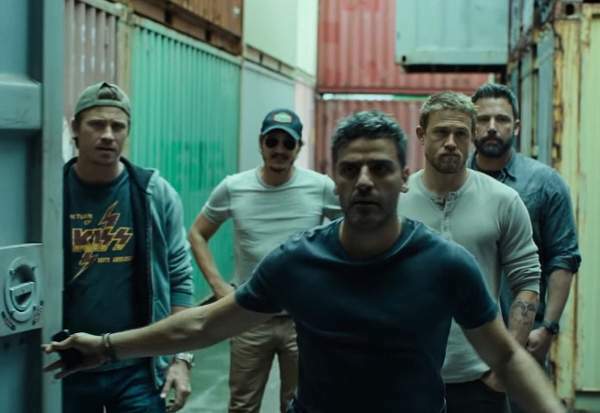 The story revolves around five former members of U.S. military special operations forces, teaming up to seize a large capture of cash that will cripple the world's most violent drug cartel. 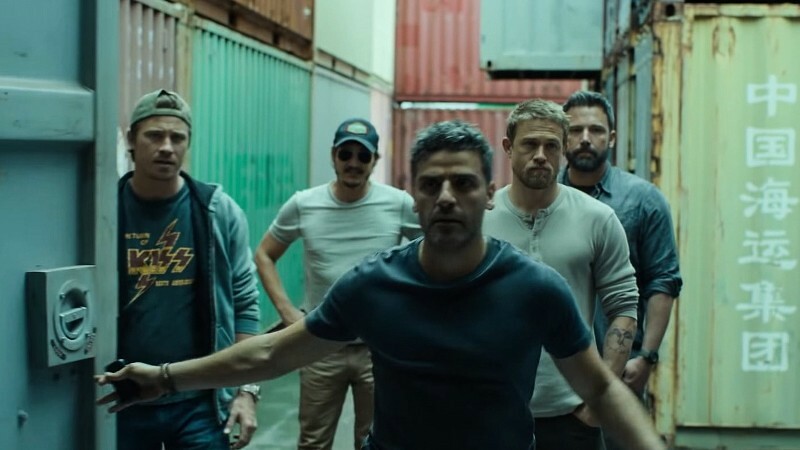 Director J. C. Chandor (A Most Violent Year, Margin Call) also co-wrote the screenplay for this action thriller starring Hollywood stars Ben Affleck (Justice League, Argo), Oscar Isaac (Star Wars, Annihilation), Charlie Hunnam (Sons of Anarchy, The Lost City of Z), Pedro Pascal (Narcos, Game of Thrones), Garrett Hedlund (Mudbound, TRON Legacy) and Adria Arjona (True Detective, Emerald City). 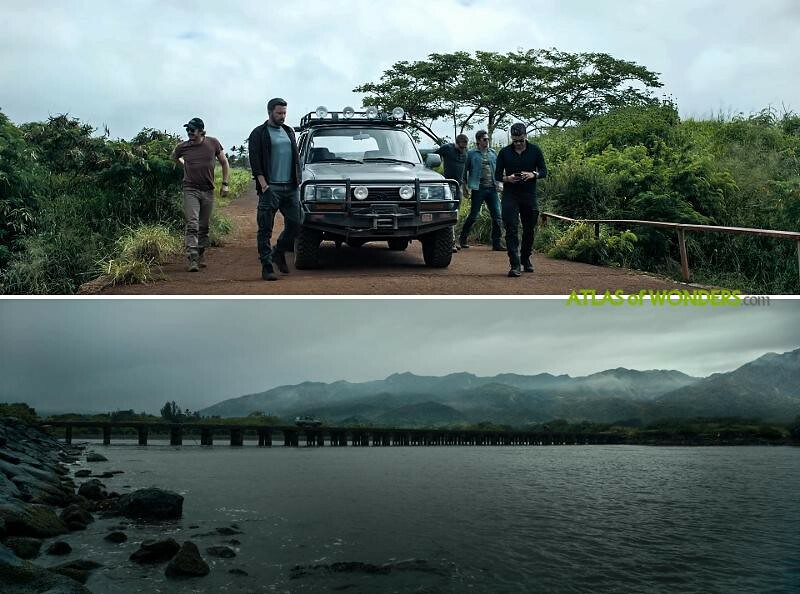 Triple Frontier was filmed in the Hawaiian island of Oahu, California, and Colombia. 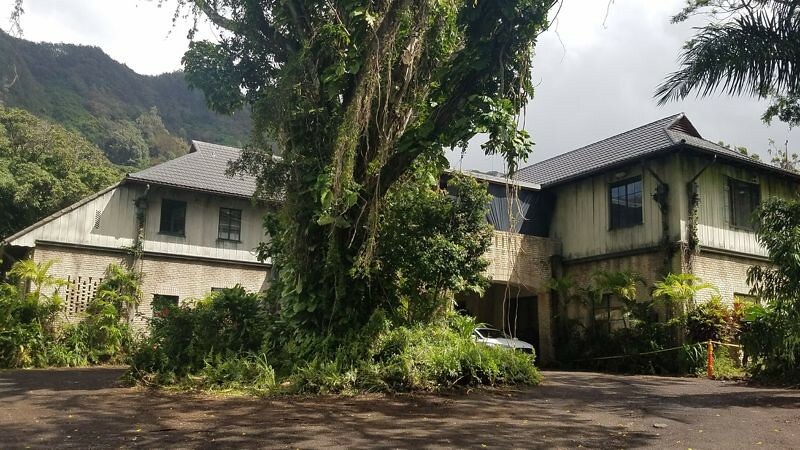 Thanks to the excellent work of our friend Reel News Hawaii, you can find a wonderful and detailed map including all the filming locations of the movie at the end of this article. 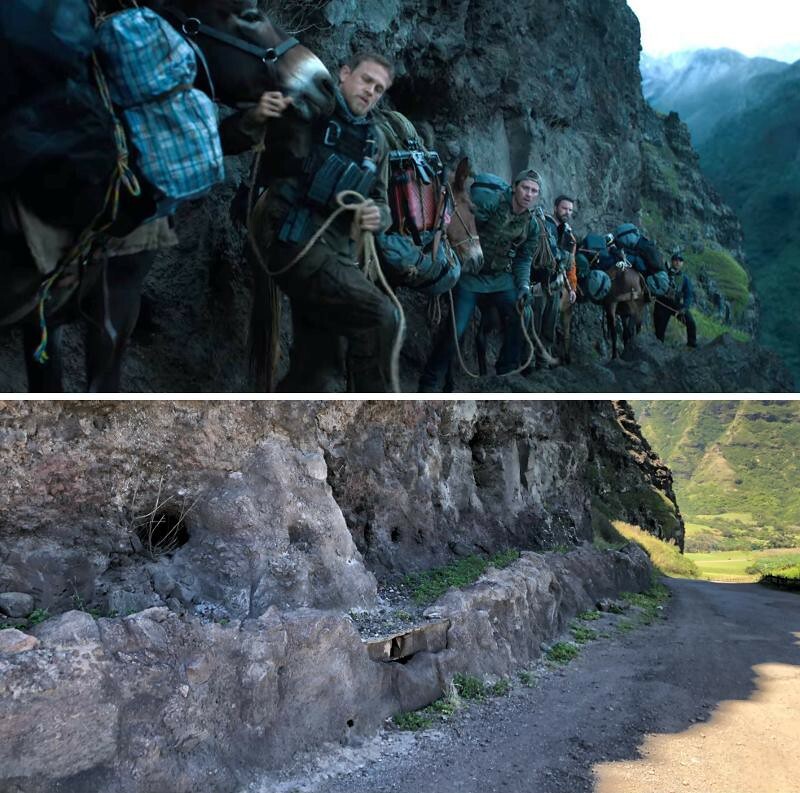 Where was Triple Frontier filmed? 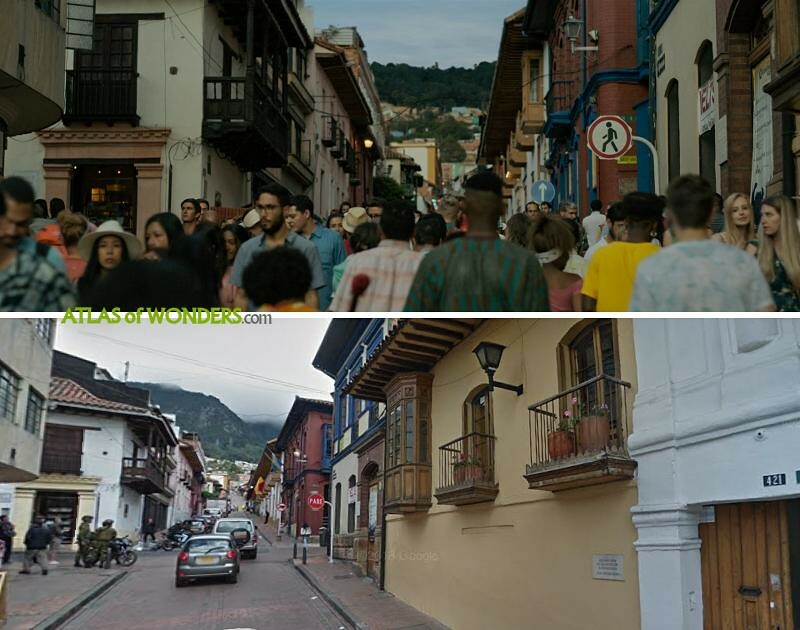 The Ambush scene was shot in La Isla neighborhood in Soacha, a borough of Bogotá in the south of the huge Colombian capital. 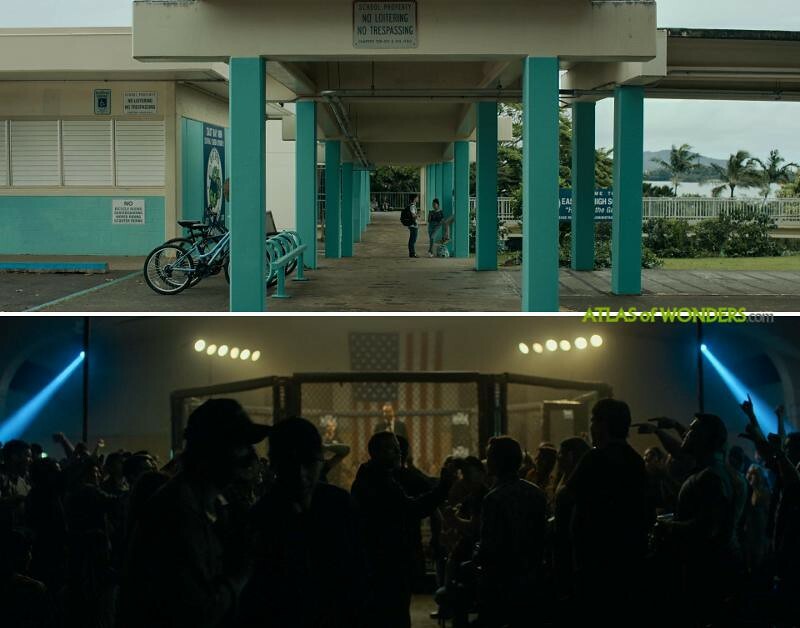 The scene pictured in the top was filmed in Pae Ko Gardens in Kapolei. Redfly's House is very close from there, at Pilipiliula Pl. 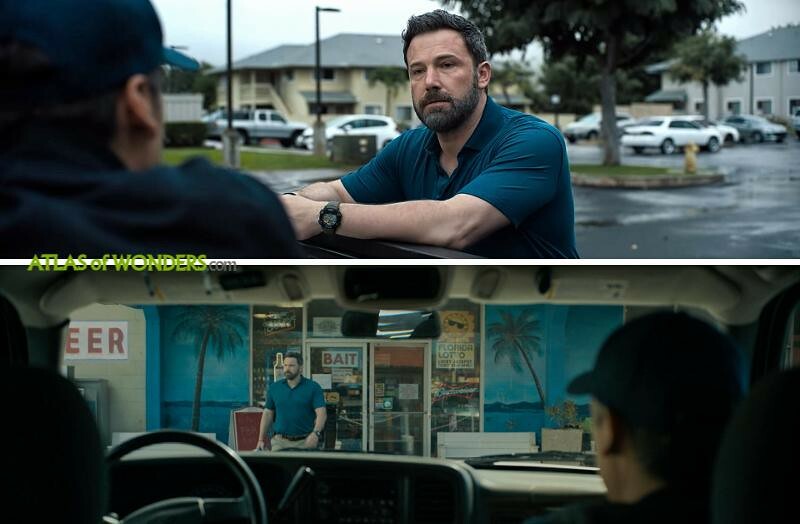 A driving scene was shot in Keoneula Blvd in Ewa Beach. Below, a Mini Mart was set up in a building near the Pizza Hut on Papipi Rd, also in Ewa Beach. 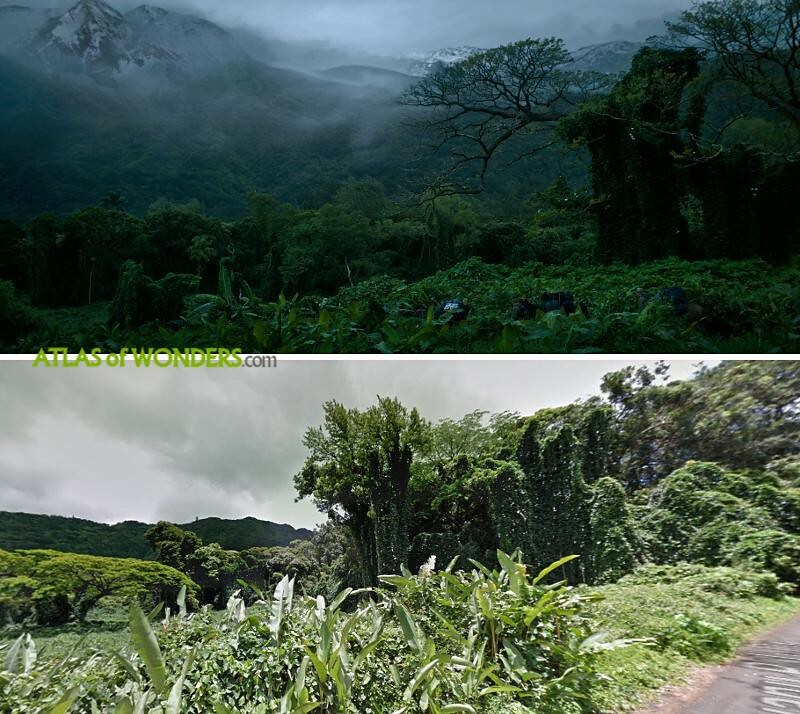 There is a short sequence with the car going through the spectacular viaducts of the Interstate H-3 and the entrance of Tetsuo Harano Tunnels near Kaneohe. 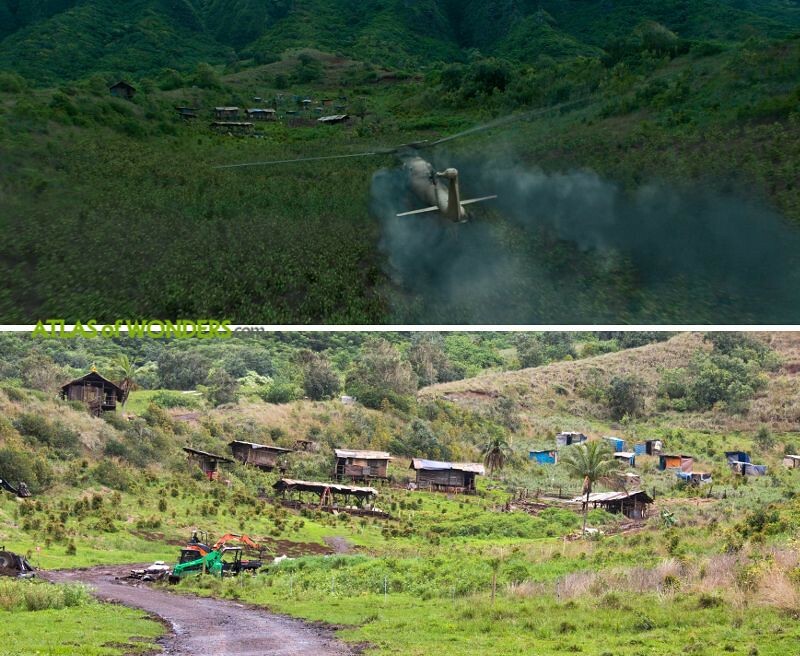 The small village at the right in the slope of the hill is all CGI. We can see Magnum's Ferrari running up and down this road in almost every episode of the new series. 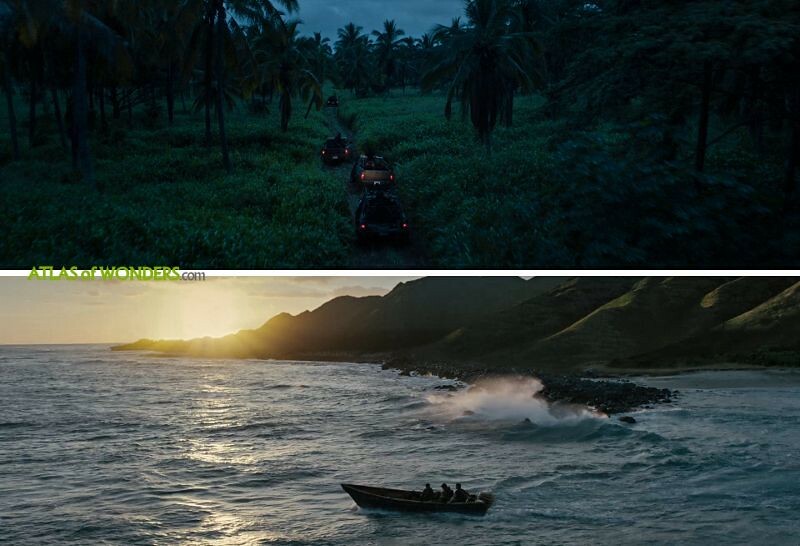 The scene in the Brazil border crossing was filmed in Kaiaka Bay at Cane Haul Rd. The mansion of the head of the cartel, Gabriel Martin Lorea, is a large property located in Old Pali Rd, Honolulu. 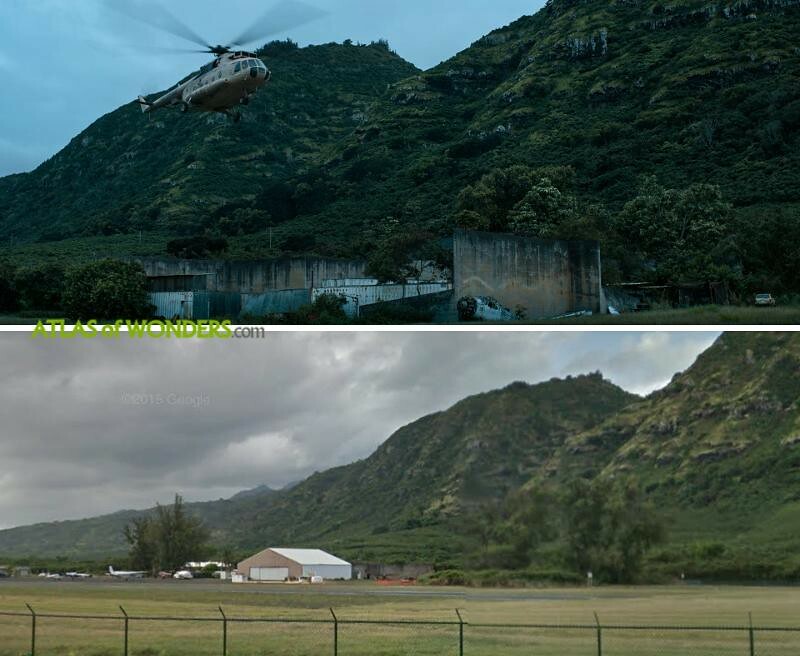 However, a set with the gates of the house was filmed off Kamehameha Hwy, near Kualoa Ranch. Quoting Reel News Hawaii's tweet: 'Movie magic. 1,000-foot cliff is actually only 3 feet above the road. Filmed at Kualoa Ranch just outside the old WWII Bunker, this ledge was built by production with wood and plaster'. Map by courtesy of Reel News Hawaii - Follow him on Instagram, Twitter or Facebook. 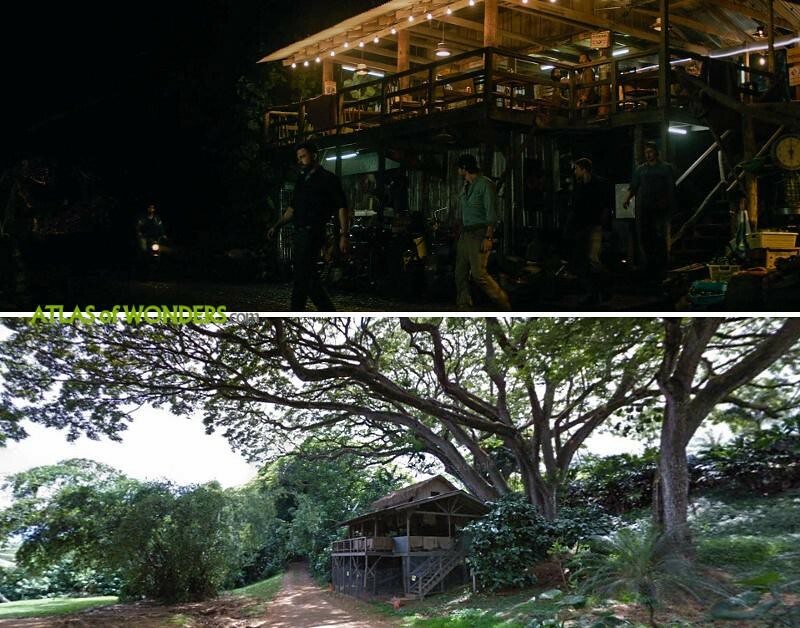 Can you help to improve this article about the filming locations of Triple Frontier? To complete and correct this report, any feedback, info or images that you may have are more than welcome, thank you! Great chemistry between cast members and location. I'm not an Affleck fan, but he held his own. Bravo. That triple border has absolutely nothing related with the movie landscapes. Brazil in fact has multiple triple frontiers, with Bolivia, Peru, Colombia, Venezuela, Guiana and more. 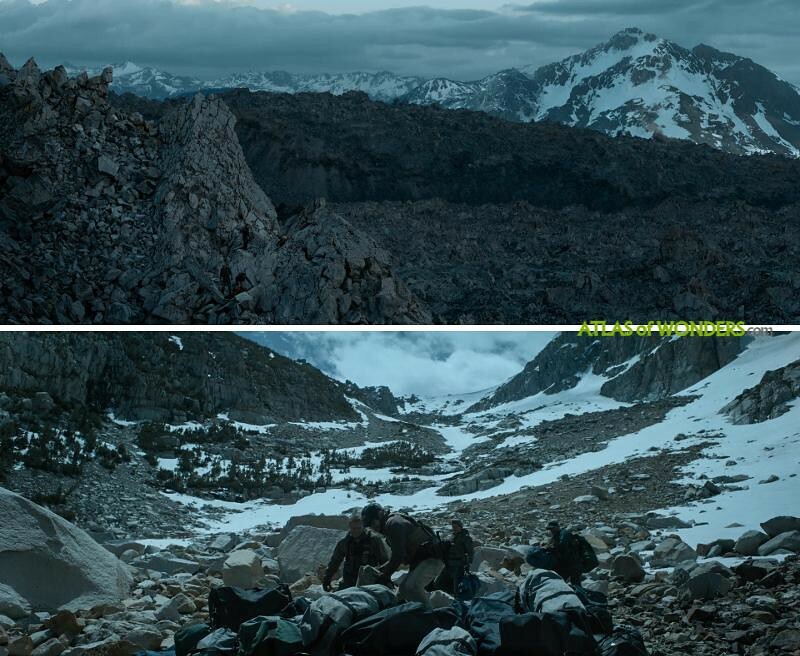 The landscapes you se in the movie are more related to the north border, with Peru, where you have jungle and Andes. 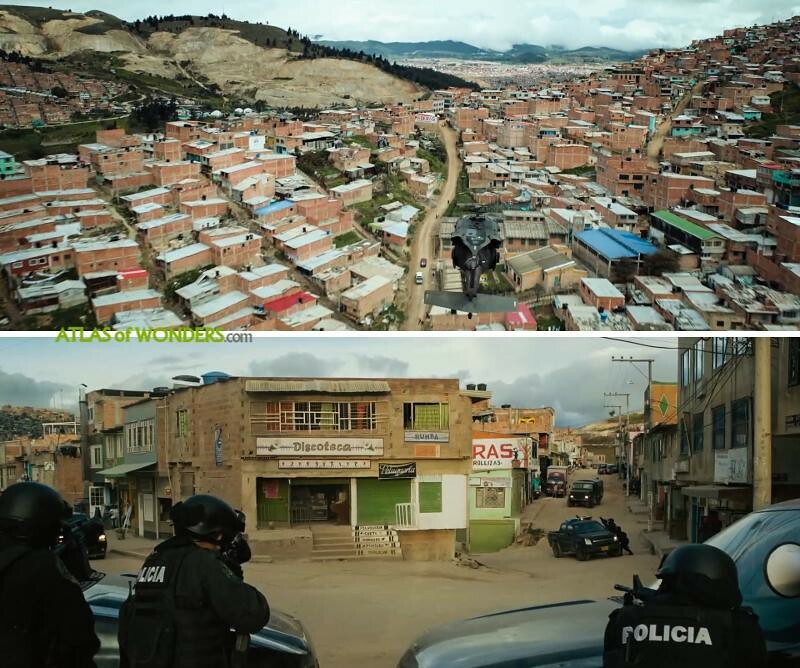 Thanks, the movie is a bit ambiguous, but it makes much more sense that the tri-border area from the film is the junction of Colombia, Brazil and Peru. However, the coordinates where the company tossed the money are pointing to the Chilean Andes, much further south.